Your first step is to fill out the manuscript submission form. Submit it to us for our evaluation. You will hear from us shortly. Once we agree on the terms of the contract, how many books you will be needing and the day you want to set as your publication date, we will send you a contract and we will start right away on your book. The manuscript will be edited and published, in paperback edition, size [ 8.5 X 5.5]. Due to the size of the manuscript, the book could be published in 1 or 2 vols. Vol. I and Vol. II (both volumes) will come off the press simultaneously. In most cases, our authors send us manuscripts just enough to make only one volume. The cover of your book will be laminated. We laminate all the covers of the books we publish. We bind our books using wire and glue to make the book spine very strong so that the book will not fall apart or crack loose easily. The contract spells out everything. After the book is published, for a small fee, we can do some promotional brochures and posters for your book that you can send to many places, schools, churches, organizations, associations, friends and relatives, announcing the publication of your book. Book signing arrangements can be made with local libraries, schools and churches in your town or wherever you please. The following information are necessary for all our publications. Each author must make sure that they also be applied to your book. (b) A Library of Congress Catalogue Number is assigned to your book while in publication. With those numbers, every library will be happy to secure your book because the numbers they need from the Library of Congress to catalogue your book are already on your book. (c) Barcode: Some of our books are sold in book stores, department stores and even supermarkets. They use scanners to scan the price of your book at the cash registrar. Without the barcode, they will not accept your book. 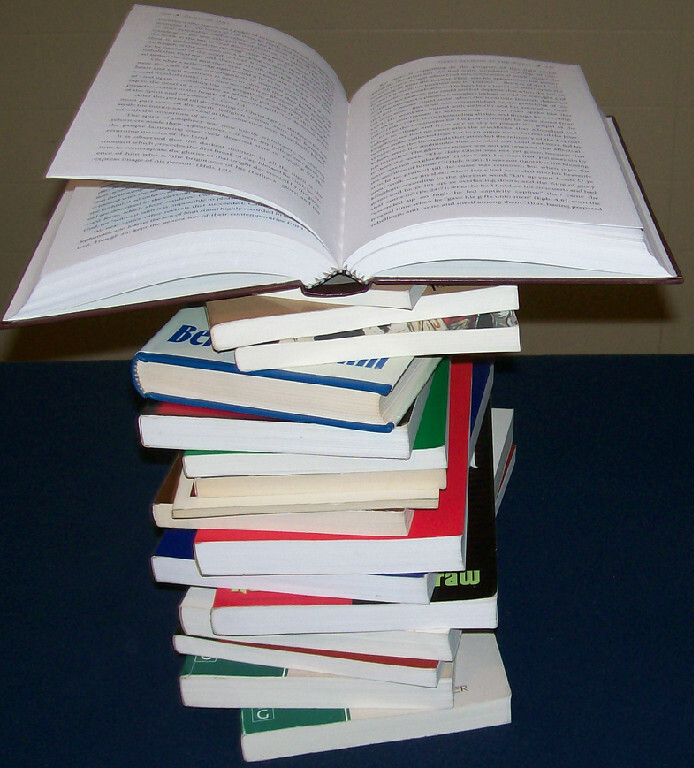 While the content of each book is important to us, the physical structure of each book is considered with care. There is a myth that people do not buy a book by the cover. That is not true. People certainly buy books by the cover and color. We are concerned about both the inside and the outside of your book. Each of our books must have attractive cover, as well as the inside text properly edited before the book gets off the press. We try to make the binding very strong. We use both wire and clue to bind each book. We include an International Standard Book Number (ISBN) on each book along with the Library of Congress Control Number. In addition, we include barcode at the back of each book because some of our books are sold in department stores, bookstores and other places where each book that is sold, is scanned for the price. At the end of each publication, we copyright your book with the Library of Congress. We promote your book with Amazon.com, Barnes and Nobles along with other book dealers that order books from Kiiton Press. Therefore, it is exceedingly crucial that our books are published professionally. To crown it all, we use acid-free papers so that the book will not turn yellowish with age. The Library of Congress recommends that all book publishers use acid-free paper if possible. Other publishers see it as optional, but we at Kiiton Press see it as a necessity. Cover lamination is another important factor in our publishing at Kiiton Press. We make sure that all our book covers are laminated to protect the book covers from blemishes, liquid damages and scratches. The acid-free paper we used for the inside text is 24 lb. white that is thick enough not to bleed. Library of Congress cataloging numbers will be assigned to your book. With the Library of Congress Cataloging number, any library around the world will welcome your book quickly because the information libraries look for in every book to make cataloging your book easy will already be there as assigned to your book by the Library of Congress. Your book will be featured permanently in the Library of Congress after we copyright the book. Your book will also be registered with Bowker & Bowker Books in Print. With that done, nationally and globally, your book will be accessible anywhere in the world.